Happy new year to everyone! I think now is a good time to say thank you to everyone who reads, comments on and follows my blog. After finishing my degree and not being tied down to this place any longer, I hope 2010 will be a year of change and adventures. Le blog de la méchante, one of my favourite blogs. Happy New Year! I love these beautiful photos. happy new year. 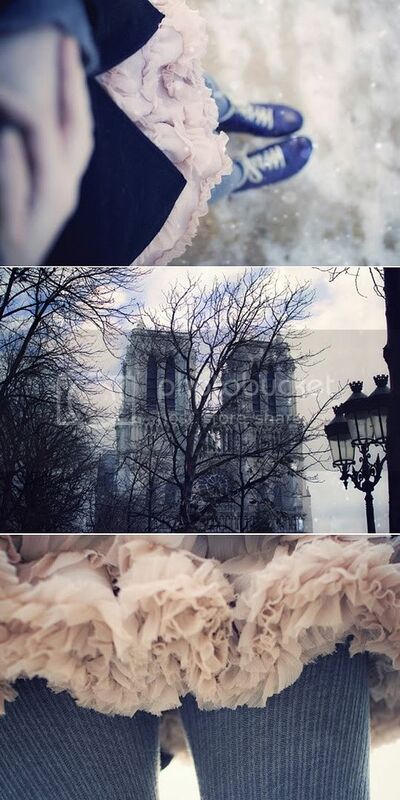 these photos are beautiful, i'd love to see paris in winter. Love that pink skirt/dress with the grey tights. Hey! I'm having a ton of fun reading your blog, and thank you for the comment. I'd love to exchange blog links. 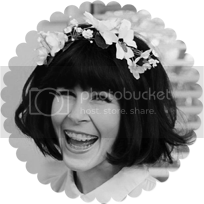 I just added your blog to my links :) I look forward to reading your blog in the new year, xo. love those pics! 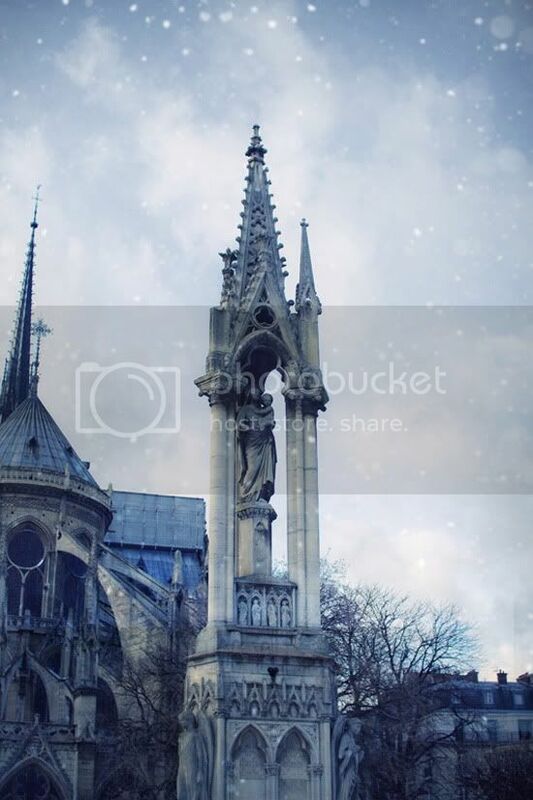 paris looks beautiful! happy new year, sushi! Happy new year! Thanks for all the lovely comments! oh i love those photos, just beautiful! doesn't it make you wish it was winter here and that it snowed like that? je vais voire comme est le blog que tu parles. happy new year! I'm in love with your photos. Oh wow! The pictures are so amazing! These photos are gorgeous. I saved them into my inspiration folder. Such beautiful photos- love the girly skirt. Happy new year! Sooo pretty. Thanks for sharing! so, so pretty! Happy new years! gorgeous photos! i think i might've enjoyed christmas in france more if i could've felt my hand and feet haha :P are you planning on travelling around europe after you've finished your degree? hope 2010 brings you all that you hope! really magical photos .. where do you plan to move? This is so beautiful. Such a magical look. I hope the same for 2010! HAPPY NEW YEAR! what pretty, magical pictures! i'm off to visit the blog now-i can't believe i've never heard of it! oh my goodness...LOVE those blue shoes. love.